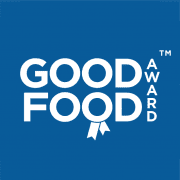 Soul Food Harlech, High Street, Harlech, Gwynedd have now been awarded the prestigious Good Food Award for both 2016 & 2017. Over the last twelve months we have evaluated customer feedback and these premises have demonstrated exceptional levels of food quality, service and value when compared to industry benchmarks in their category. Soul Food – Caribbean Restaurant in Harlech, UK, brings a taste of the Caribbean to the local area. Our authentic dishes have all the spice and pizzazz you expect from our delicious cuisine. Caribbean food has its roots in many cultures and influences – from the indigenous Carib and Arawak Indians to French, Spanish, Dutch, British, African, Indian and Chinese. The cuisine is an amalgam of all these influences and offers a wide range of flavours. Caribbean food is spicy but not necessarily hot. The word spicy should be defined as packed full of flavour! For those of you who like hot food, we have a variety of hot pepper sauces available for you to try.